Voters in 51 polling stations across the country will vote today (Wednesday) due to challenges in delivering ballot papers, the Electoral Commission of Zambia (ECZ) has disclosed. The polling stations are in Mafinga, Kaputa, Mitete, Lukulu West, Senanga, Kapoche, Chama North, Chama South and Limulunga. ECZ director Priscilla Isaac said during a media briefing at the national results centre in Lusaka yesterday that the commission had challenges delivering ballot papers as a result of wet weather in most parts of the country. She said some bridges have been swept away or submerged, making delivery of both polling agents and election materials difficult. 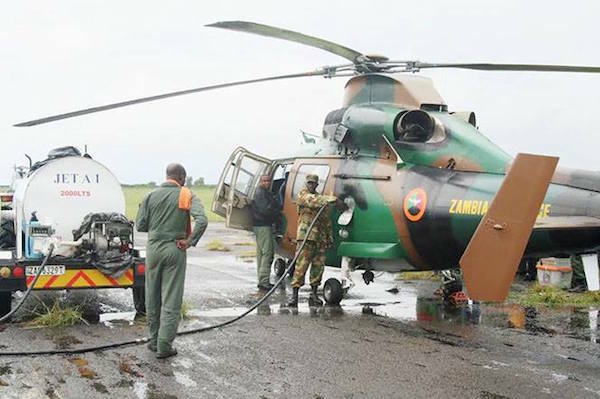 “The number of inaccessible areas increased, putting pressure on the Zambia Air Force (ZAF) servicing those areas,” she said. And Ms Isaac maintained the projection of announcing the sixth president of Zambia by this Friday. “We are still projecting the 23rd January but looking at the challenges we are facing, we can even go beyond our projected date,” Ms Isaac said.